Do you have graphic design talents? Belonging to Each Other, which has recently applied for incorporation, is in need of a logo. If you are interested in working with this group on a pro bono basis to create a logo, please contact Fran Senner-Hurley. 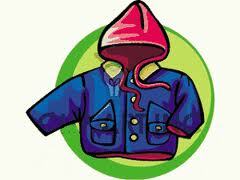 September 1 we will begin collecting lightly used clean winter clothing for children and adults. Please leave your donations in the closet next to Speen Hall. Calling all volunteers willing to help someone in our community prepare to become a citizen! Citizenship classes will be held at the Falmouth Public Library, starting in September on Tuesdays from 5pm – 8pm. Volunteers will be needed for both English help and partnering with an individual to help navigate the class. Contact SCACCI (Community Action Committee of Cape Cod & Islands), or Immigration Services in Hyannis [508-771-1727], Falmouth office coming soon to sign up as a volunteer. Helping someone learn the language that will take him or her down the road toward citizenship will be an enriching experience! Tzedakah will benefit Heroes in Transition, Inc. In September an anonymous donor will match the first $100 donated to HIT. Our veterans deserve our support! FJC’s Tzedakah Box recipient through the end of 2016 is a wonderful local organization, Heroes in Transition. Started by Cyndy and Ken Jones after their only child Eric, a handsome Captain in the Marines, was killed in a helicopter crash while supporting a mission over Afghanistan. Heroes raises funds for assistance dogs for veterans with PTSD and also supports the Falmouth Service Center in providing meals for military families on Joint Base Cape Cod. During the month of September an anonymous donor will match the first $100 collected. So please consider making a contribution as you walk by the Tzedakah Box. If you are unable to come to FJC during September, you can mail a check to FJC made payable to Heroes in Transition. Heroes In Transition, Inc. (HIT) is a non-profit, all-volunteer organization which provides assistance to military service members, currently deployed or returned, and their families.